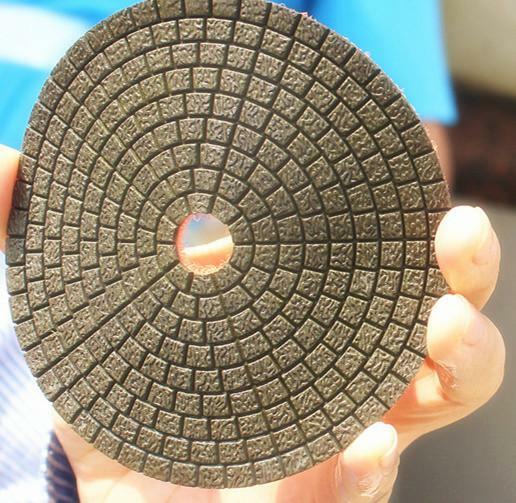 It leads to new generation of polishing pads/discs, With the spread of engineered stones, we realized the need of polishing pads/discs for polishing engineered stone, quartz is effective on these challenging new surfacing materials. Not only on engineered stone; Ceramica works extremely well on all natural stones too. As a result, Ceramica diamond pads can meet all the needs of all stone fabricators. One set including 5pcs(200#, 500#, 1000#, 2000#, 3000#) of wet polishing pads can bring a high quality gloss finish on granite, engineered stone, quartz surfaces, marble (including hard to polish black and green), terrazzo and porcelain tile and slab. Ceramica wet diamond polishing pads can work quickly to achieve desired results. 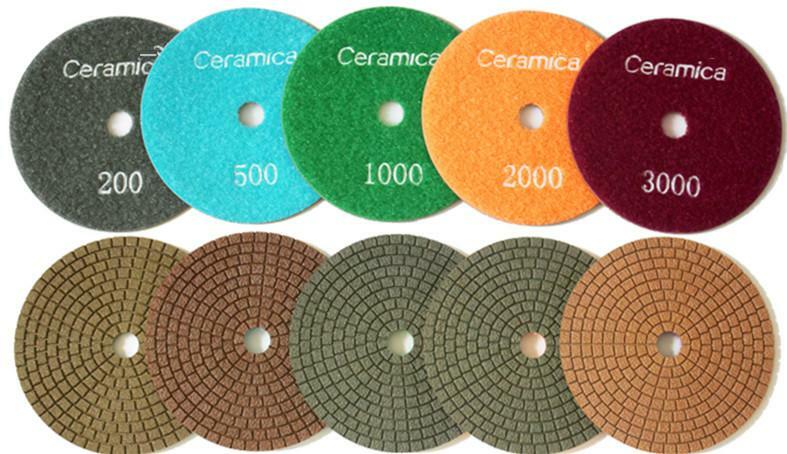 The Ceramica diamond polishing pads are cost-effective, long-lasting and made from the highest quality raw materials. The prices are more competitive than the resin diamond polishing pads. Ceramica wet diamond polishing pads are extremely flexible and can curve at any angle. The Ceramica polishing pads are excellent for polishing inside corners and a tight radius. Use the 3" Flexible Velcro Backer Pad on really tight curves.